Dr. German Vargas is the Chair of the Department of Mathematics at the College of Coastal Georgia and the Chair of the University System of Georgia’s Academic Advisory Committee on Mathematical Subjects (ACMS). 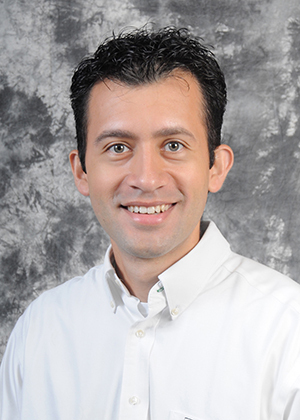 When Dr. Vargas first heard about Open Educational Resources, he began to seek out and review many mathematics OER and open textbooks for potential use in his institution. In late 2014, Dr. Vargas and his project team (Jose Lugo, Laura Lynch, Jamil Mortada, Treg Thompson, and Victor Vega) submitted a proposal for an ALG Round 2 Textbook Transformation Grant, a department-wide Transformation-at-Scale, to transform four highly-enrolled mathematics courses at CCGA. The project is currently underway, and the team is in the implementation phase of transforming four commercial textbooks to OER, including textbooks from Rice University’s OpenStax College. Watch Dr. Vargas’ presentation as part of the Celebrate Open USG webinar by using this timestamped link.